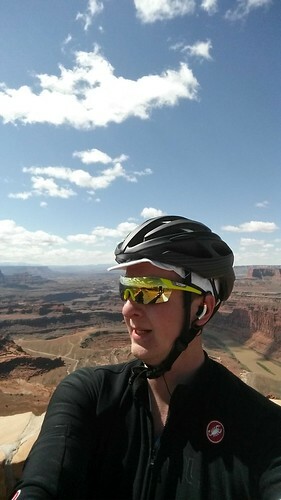 Last weekend I spent a few days in Moab, UT with a cycling meetup group to take advantage of the (typically) warm weather and sunshine for spring training. 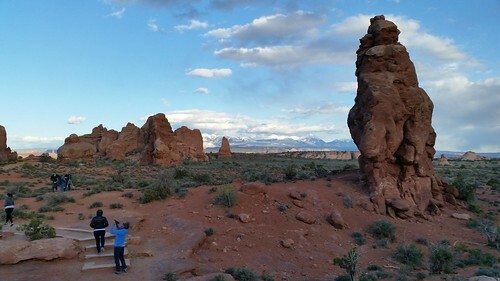 I attended the same meetup last year and it was a wonderful experience, though the weather was not as friendly this year, it was still a fun time. 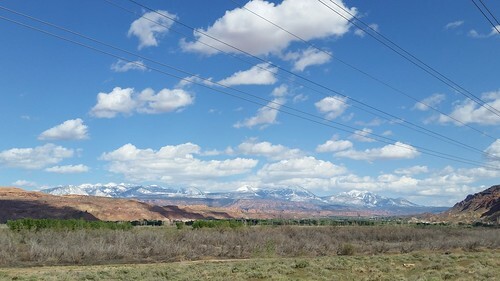 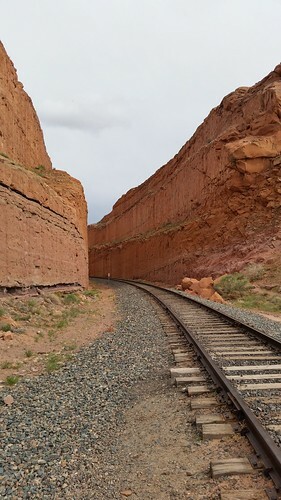 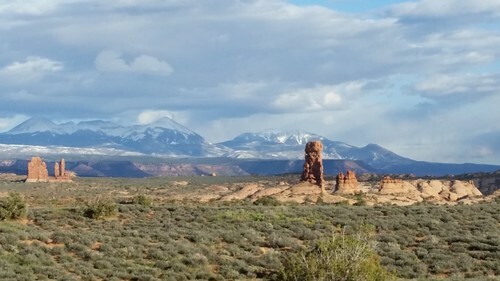 The first day started with high (40MPH gusts) winds, rain, sleet and cold so after 25 miles I called it and headed to the Moab Brewery for lunch and to reheat. 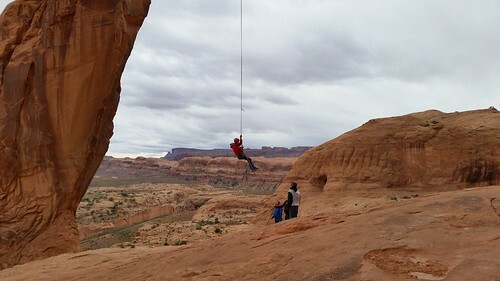 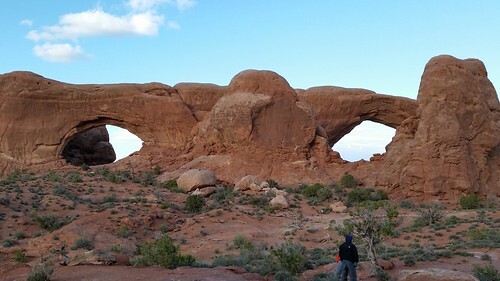 A short hike from the campsite brought us to Corona Arch where we witnessed a brave soul swinging from the top. 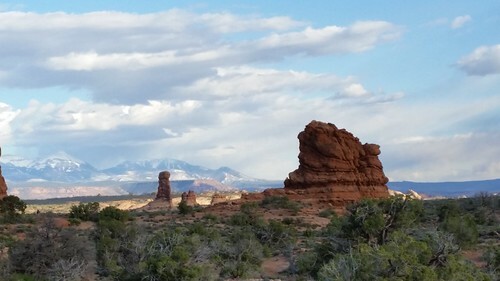 Dinner was at the Peace Tree Juice Bar & Cafe, if you are ever in Moab, make sure to stop in for one of their unbelievable smoothies. 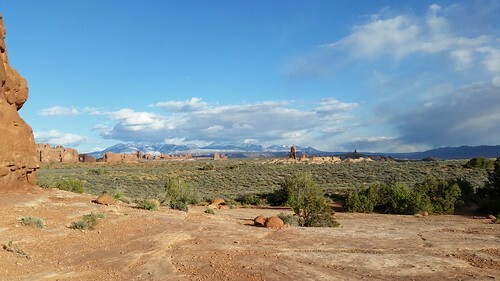 The following day was sunny, though brisk and windy. 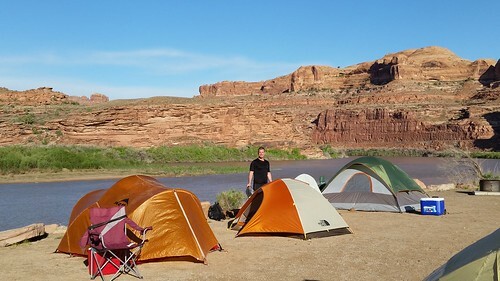 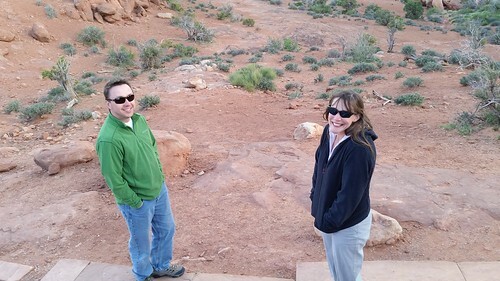 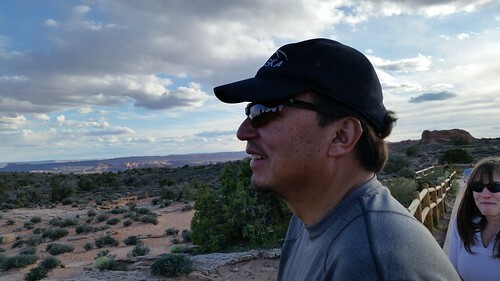 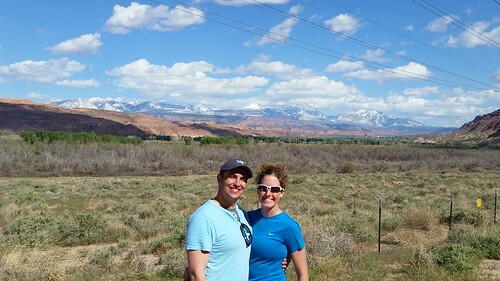 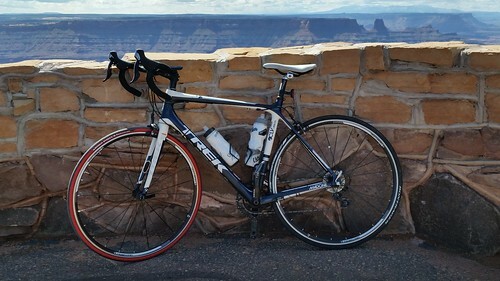 We climbed on our bikes from near Moab to Dead Horse Point for some breath-taking views of the canyons and returned to camp for some R&R before a scenic preview drive through Arches National Park (followed by tiramisu gelato). 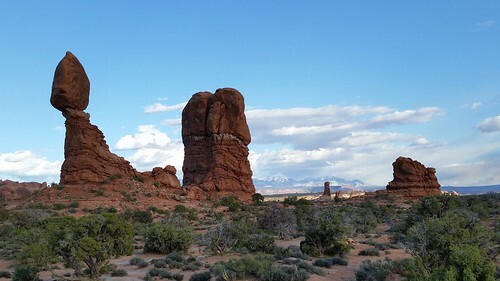 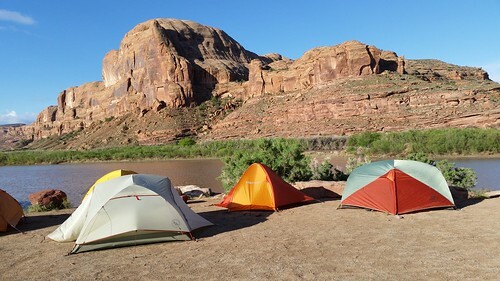 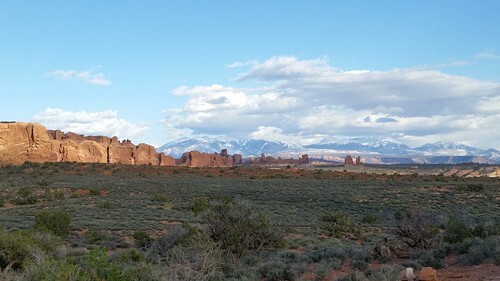 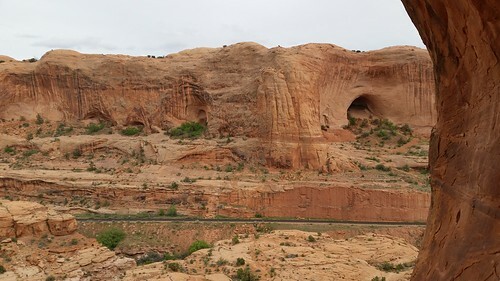 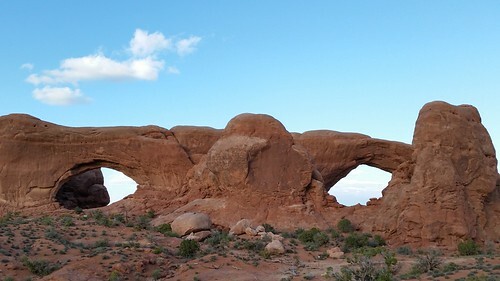 Monday early camp was broken (we camped at the Gold Bar campsite on Potash road) and we headed to the visitor center of Arches for our last ride of the trip, 35 miles out-and-back from the visitor center to Devil’s Garden (the end of the road).